The busiest junctions will soon be controlled by ‘specially-trained’ Robot Traffic Police, with the department initiating talks with leading IT firms to develop the mechanism, which use AI. KOCHI: They strive to make your journeys smooth, but the ordeal the traffic policemen are made to suffer day in day out, in adverse conditions and pollution, is heart-wrenching. It could soon end once the robots take over the role. The busiest junctions in the state will soon be controlled by ‘specially-trained’ Robot Traffic Police, with the department initiating talks with leading IT companies and universities to develop the mechanism, which will function using artificial intelligence (AI). “It’ll be the first time in the country a law-enforcement agency is coming up with such a proposal. 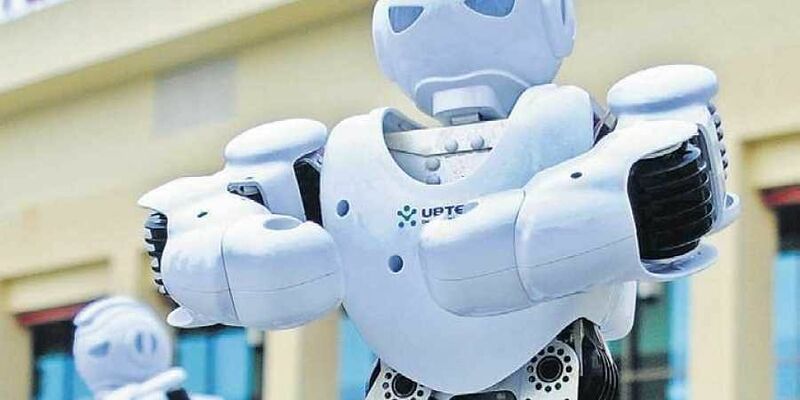 We’ve approached six IT companies and three universities to prepare a concept to develop the robot,” Cyberdome nodal officer IG Manoj Abraham told Express. “It’s a tough task for the policemen to control the traffic movement standing in the scorching sun. Since the number of officers is less in the state, we thought of filling the vacancy. That led to the idea of developing the robots. It’s high time we used AI in enforcement operation,” said Abraham. The department hopes to complete the project within a year and deploy robots in Kochi, Kozhikode and Thiruvananthapuram. “The research for developing the robot has been completed already. After developing it, we’ll give training based on vehicle data, with separate sessions being planned in hand movements,” said Manoj. The officer said the road marking at selected junctions should be upgraded to international standard. “Since the robot works on AI, it’s important the communication is clear and proper. That makes the road markings really crucial,” he said. At the recent Cocon conference, DGP Loknath Behra had said a meeting would be convened in Kochi with the IT experts to discuss the project.